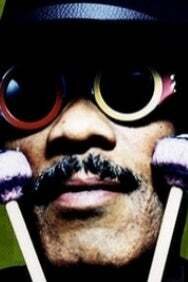 We do not curently have theatre tickets available for Roy Ayers. This could be because we have simply sold out or it could be that this show is no longer running. The information on this page remains purely for historical and informational purposes. The legend of jazz funk who gave us the classics Everybody Loves The Sunshine and Running Away. The Los Angeles funk, soul, and jazz composer and vibraphone player has enjoyed a long career since the 1970s, releasing on labels including Atlantic Records and Polydor. Along with live performances, Ayers can be heard as the host of the fictitious radio station 'Fusion FM' in Grand Theft Auto IV, and a documentary film is in the works about the many hip hop producers who have sampled his music and artists who have been influenced by him.